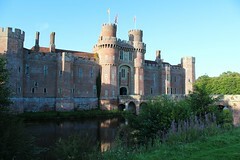 This August, we had the amazing experience of attending and presenting at the The Ninth International Conference on Self-Study of Teacher Education Practices, held August 15-19, 2012 at Herstmonceux Castle in East Sussex, England. The castle, owned by Queen's University in Ontario, Canada, is a beautiful setting for a conference (see photos included). The SSTEP group is a part of AERA, and focusses on the improvement of teacher education through self-study. The process for acceptance is extensive, the proposal, then the paper submitted are subjected to blind peer review. Our paper & presentation was titled: Using Social Media to Engage Teacher Candidates in Relevant, Timely, and Rich Learning Experiences (proceedings for previous conferences area available - and I am sure this one will be as well). In a nutshell we examined our practice as we tried various ways to engage our students in discussions via social media. In particular we looked at a Ning network we had set up for current students and alumni of our teacher education faculty. Our goal was to create a network where our students could engage in rich, deep discussions that extended beyond the classroom. The Ning allowed us to include practicing educators, including many enrolled in our graduate program, to join the discussion with teacher candidates. We tried to find strategies that would lead to a dynamic, meaningful community of learners, and in the long term, we would like to find ways to help the community to become self-sustaining and a place for current and former students to share & engage one another. 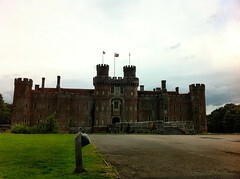 Our presentation is below, followed by some photos of the beautiful castle & grounds.